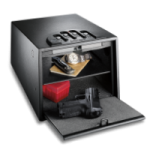 Our mission at Brass & Bass is to provide high quality products at a great price and to provide sound advice on both firearms and fishing. Give your Mother the very best! 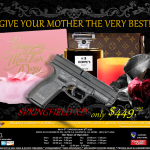 Gift of a Springfield XD 9mm. 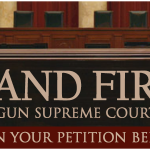 No Anti-Gun Supreme Court Justice! Great shop, great customer service. Taking the new Shot gun out to the range today! Have a great Thanksgiving!! We are a small store front so we have the ability to spend good quality time with each customer making sure that they are informed and happy with the service they will get here at Brass & Bass. Stop by and check out the store. Copyright © 2016 Brass & Bass. All Rights Reserved.